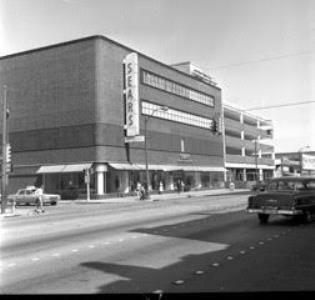 In 1927, Sears, Roebuck & Co. set up shop at Sixth and Broad streets with its first Chattanooga store. What would follow would be a long shopping relationship between the retail chain and the city that survives to this day – although just barely. As many people know, Sears filed for Chapter 11 bankruptcy on Oct. 15 and announced that a number of stores, including the one at Hamilton Place Mall, would be closing. It was not surprising, as the department store giant has been struggling for some time. In an era when such once-proud retail chains have been trying to keep pace with lower-cost stores, more-specialized big box retailers, and, of course, online sales, Sears has not done well financially over the last few years. But it once thrived everywhere, including in Chattanooga. While it might be easy to assume a Sears was first located in Chattanooga around the turn of the 20th century, as was the case with Lovemans and Miller Bros., the chain actually arrived a few decades later. However, the business itself goes back that far. Richard Warren Sears had started a watch and jewelry business in the mid-1880s in Minnesota and soon teamed up with a watch repairman named Alvah C. Roebuck. They later moved to Chicago and in 1887 started a mail-order catalogue business. The business was later sold and restarted, and by 1893 began offering other products in its catalogues. The catalogues of course became American institutions, and many of them can still be found on microfilm at the Chattanooga Public Library. In 1925, the company decided to begin opening retail stores around the country, and that is how one opened up in 1927 in Chattanooga in an apparently already-built building at the northeast corner of Sixth and Broad streets. But the store would not offer the full-product line for which it would later become known. A 1928 Chattanooga Times newspaper article said the store initially offered only sporting goods and automobile accessories, but demand forced them to start carrying numerous other products. They were also forced to expand and begin using space in an adjoining building. 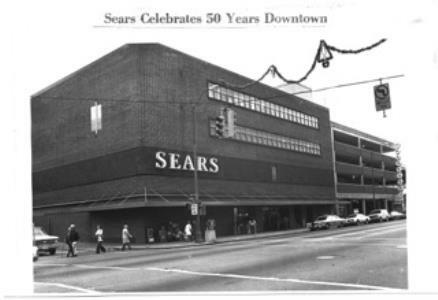 At the time, Sears was regionalized in its operations, and the Chattanooga store was under control of the Atlanta district. In an interview for the paper, Chattanooga Sears store manager P.J. Drennan, who had come to Chattanooga from Atlanta and Chicago, was impressed with the Scenic City and its interest in Sears. “In my opinion Chattanooga is especially good for retail business because of the steady manufacturing interests and the healthy industrial condition which exists here,” he said. He added that except for his position and those handling the additional new business due to the expansion, most of the employees of the Chattanooga Sears were local people. Evidently, the store continued to do well, even right through the heart of the Great Depression. In 1932, a photograph in the Chattanooga Times showed demolition work beginning at the north side of Sixth Street between Market and Broad for the new Sears. This would be the Sears that became familiar for decades with the brick curved at the corner in the style of the 3M Building off Cherokee Boulevard that later became the Business Development Center. The structure was designed by architect R.H. Hunt and was being built through the Chattanooga Trust Co. headed by Z.C. Patten. The store, which ran the length of Sixth Street from Market to Broad, opened on Nov. 17, 1932, right after Franklin Roosevelt had been elected president amid the country’s economic problems. Apparently, enough Chattanoogans had some money to buy retail items and keep it operating well. To mark the occasion, radio station WDOD broadcast from there that day. The two-story store featured 39 employees and was offering more space than had existed in its former cramped quarters. “Our new store will be more accessible to them (customers) and more pleasant and comfortable, and its ample area will permit the handling of more extended merchandise lines,” said the manager, H.W. Hersheimer. The business carried such now-forgotten products as Coldspot refrigerators, Allstate Tires, Silvertone radios and plenty else. It had giant showroom windows on the first floor and regular vertical ones on the top floor. However, after World War II, as the economy began to improve, Sears, Roebuck & Co. announced that the downtown store was going to expand to 2½ times the size it currently was. 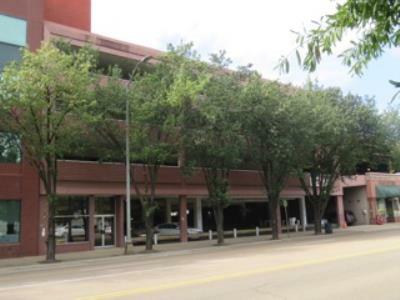 Two more stories were being added, with the second-floor windows being replaced by upper windows only on the sides facing Market and Broad streets, manager J.R. Brookshire announced. The basement and three main floors were to be used for retail, while the fourth was to be used mostly for offices. The architect was to be Hunt, Caton & Associates, while the contractor was Lindsey-Davis Company. 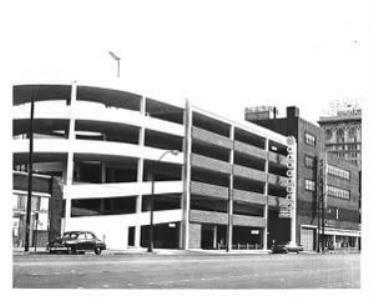 In 1960, three historic buildings that had housed such businesses as Contor Bros. clothing store and the Cameo Theater/Peacock Jewelers were to be razed for a parking facility on the north side of the store. Among the other events in the life of the local Sears documented in old newspaper clippings filed at the Chattanooga Public Library, the store offered a charm school on Saturdays in 1966 headed by local TV and theater personality Gay Martin. The store also began to expand a little physically with the opening of a warehouse building and service building for appliances off Amnicola Highway in 1969. 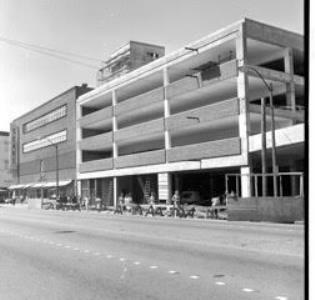 But downtown was still the heart of its operation, and in 1971 demolition began on the back/Broad Street side of the store to make way for a new automotive center, which opened in 1972. While other local department stores had also opened local branches in places like Highland Plaza, Eastgate, East Ridge and other parts of Brainerd Road during that time, Sears had not expanded its number of local stores beyond one. However, that changed when Northgate Mall opened in March 1972, and Sears announced it would build a department store on the end closest to Highway 153. That store and the nearby auto center building – which was just razed in recent months -- opened in early 1974. The store was designed by the architectural firm Cooper, Cary and Associates. When the Northgate department store opened on Feb. 27, 1974, Congressman LaMar Baker, County Judge Chester Frost, Mrs. Joy Walker (representing husband and Chattanooga Mayor Robert Kirk Walker) and Miss Chattanooga Jan Cochrane took part in the festivities. In 1977, Sears celebrated its 50th anniversary in Chattanooga, with several longtime employees or former employees recognized. 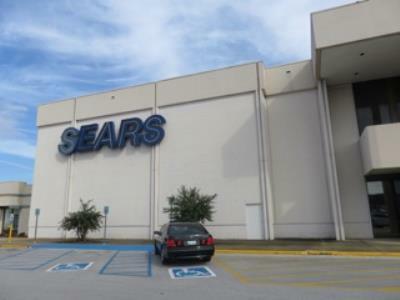 But the ideal situation for Sears in Chattanooga began to change ever so slightly. That started when longtime local lawyer and philanthropist Burkett Miller, who apparently acquired at some point the land where the downtown Sears sat, donated the tract in his will to the University of Virginia after his death in 1977. In 1981, U.Va. decided to put the land up for sale. Meanwhile, Sears began doing a little diversifying in Chattanooga. It had opened a plant and landscape center in 1978 at its Amnicola Highway facility, perhaps seeing a growing market for that type of business that is now quite popular. In 1982, meanwhile, it opened a surplus store at Eastgate, and in 1985 completed a “Store of the Future” renovation with its Northgate store. In the mid-1980s, officials with CBL & Associates announced plans to build a giant mall off the Shallowford Road exit of Interstate 75, and Sears soon announced it would locate there. As a result, it said it would close its landmark downtown store when it relocated. The last day for the Sears to be in operation downtown was April 30, 1988, while it opened its new store at Hamilton Place in early May 1988, about nine months after the mall had actually opened. In 1989, it began using state-of-the-art and more automated cash registers. 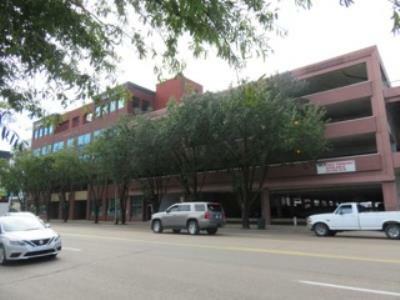 Regarding what would happen to the downtown Sears, a local developer who was already drawing some attention for his successful building projects announced plans to redevelop the building into office space. His name was Bob Corker, who later became mayor of Chattanooga and is currently finishing out his second term as U.S. senator from Tennessee. A new exterior look was given to the building, renamed Market Court, and the historic and unique 1930s and ‘40s facing that had been the trademark of the downtown Sears for decades disappeared. In more recent years, Sears made a number of new business unveilings in Chattanooga. A repair center was opened off Jersey Pike in 1997, a smaller style Sears Essentials opened up in the former East Ridge K Mart in 2005 before the same site became a Sears Grand in 2006. 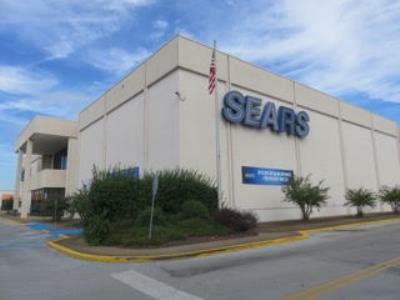 In late 2008, a Sears Outlet was opened in the former Winn-Dixie off Highway 153 in Hixson, while in 2009 a flood closed the East Ridge Sears in the old K Mart building. That perhaps served as a metaphor for the problems the chain was facing in Chattanooga and beyond. It still has the Northgate Mall store locally, but one can only wait and see if that store can survive for the long haul due to the retail chain’s financial struggles in this era when physical department stores are no longer the actual mall anchors anymore. 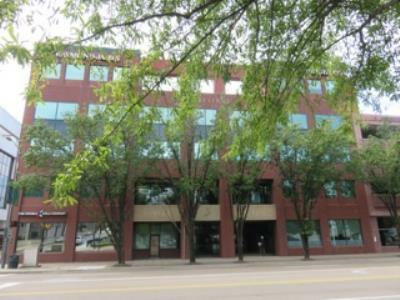 But if someone walking through the less-crowded store these days is looking for more hustle and bustle inside a Sears, particularly one located in downtown Chattanooga, he or she might just check the files of the public library. There, the grand old department store comes back to life in sterling fashion. 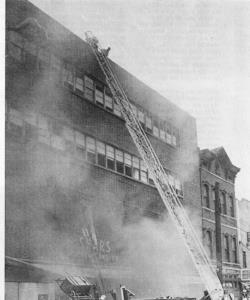 To hear former radio news announcer Tom Nobles discuss a 1951 fire at Sears, listen here.